The Scottish education system produced highly mobile and well-trained individuals. Amid the social upheaval caused by the Industrial Revolution and the Highland Clearances, many of these people found no niche in Britain. The Scots who could not be accommodated at home often went to the colonies in search of better opportunities - and in Canada, these educated Scots found themselves ideally suited for leadership roles. Scots in Canada held a disproportionate percentage of official appointments and dominated the professions and commerce. As the Scots guided the development of British North America, they used their own system of education as the model for those they would establish in their new home. 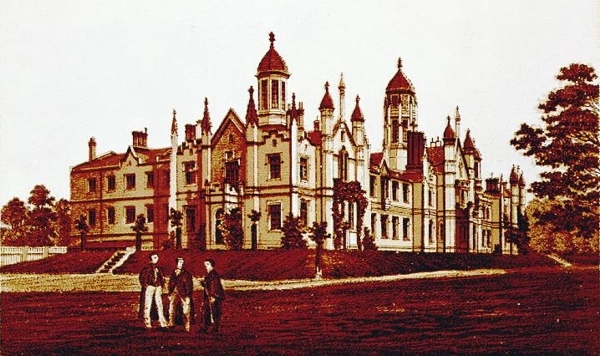 Scots assiduously founded the colony's first educational institutions at all levels, but they achieved particular success in the realm of higher education. 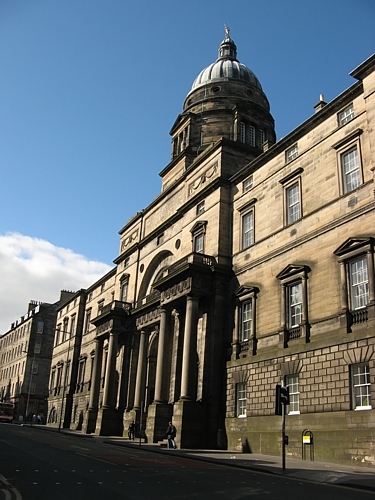 The University of Edinburgh provided the model on which these schools were built. Nearly all of the men who founded British North America's nineteenth century universities were Scots or of Scots ancestry. Lieutenant-Governor of Nova Scotia, George Ramsay, the 9th Earl of Dalhousie, had a dream of giving Halifax a school open to students of any class or creed. In May 1820, he set down the cornerstone of Dalhousie University, which remained one of only three secular universities in Canada until the 1950s. The Anglican bishop John Strachan also dreamed of founding a university, but one that was under the control of the Church of England. 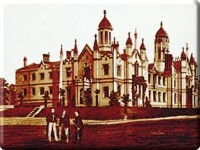 He founded King's College in 1827, which held its first classes in 1843. 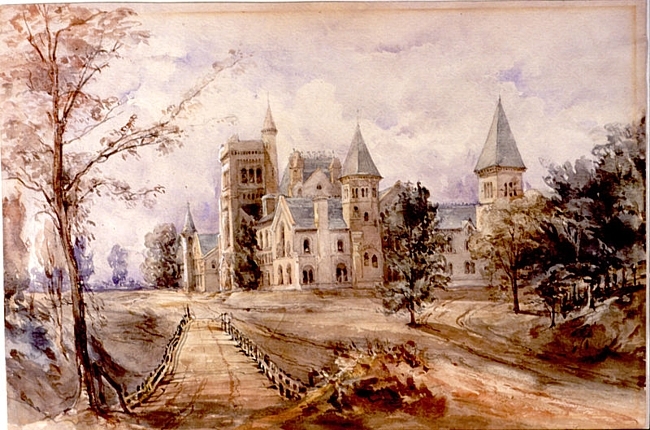 To Strachan's immense disappointment, King's College was transformed into the secular University of Toronto in 1850. 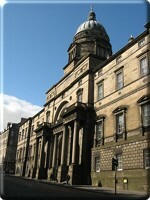 Not to be deterred, Strachan opened Trinity College, an Anglican seminary, the following year. The third-oldest English school in Canada, McGill University, was founded in 1821 by James McGill, a Montreal merchant from Glasgow. McGill, who became involved in the fur trade around the Great Lakes circa 1770, made his fortune through land speculation. He was rumoured to be the richest man in Montreal when he died in 1813; he left his estate and �10,000 to the Royal Institution for the Advancement of Learning to found a university. 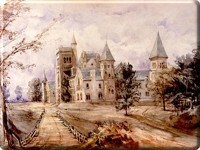 Presbyterians in Canada pressed the Crown for years for a charter to found a college for ministers. The Kirk of Scotland finally sent Rev. Thomas Liddell, the minister of Lady Glenarchy's Church in Edinburgh, to Kingston in 1841. He arrived armed with a Royal charter for the foundation of Queen's University, which held its first classes the following year. Not content to confine its academics to theological studies, however, Queen's University also offered a curriculum rich in science and literature. Even when Anglican Scots were involved in founding institutions of higher learning, they adopted a broader curriculum of more generalized subjects than those based entirely on the English tradition. Rather than narrowing study to classics and mathematics, schools like the University of King's College in Nova Scotia also emphasized science and moral philosophy. Scottish Studies programs continue to emphasize Canada's link with Scotland. The University of Guelph in Ontario and Simon Fraser University in British Columbia both boast renowned multi-disciplinary centres dedicated to promoting cross-cultural understanding. Given the enormous influence Scots people have had on education in Canada, we can be certain that programs like these serve as tributes to our nation's Scottish heritage.